Excellent methodologies for managing software, engineering, and web publishing teams. Santa Clara University: Santa Clara, California. Member esteemed Cohort 7. Spent most of 2003 and 2004 studying, working, and being a dad. Completed the program Fall 2004. SCALIX - provider of enterpise messaging/email for Linux/Unix. Cacheon: fascinating gig right on Market & 4th in San Francisco. Built up software development team and development infrastructure. Developed peer-to-peer messaging system and flexible distributed computing engine to run on Windows, Linux, PalmOS, and Java! intel: Microprocessor Research Lab. 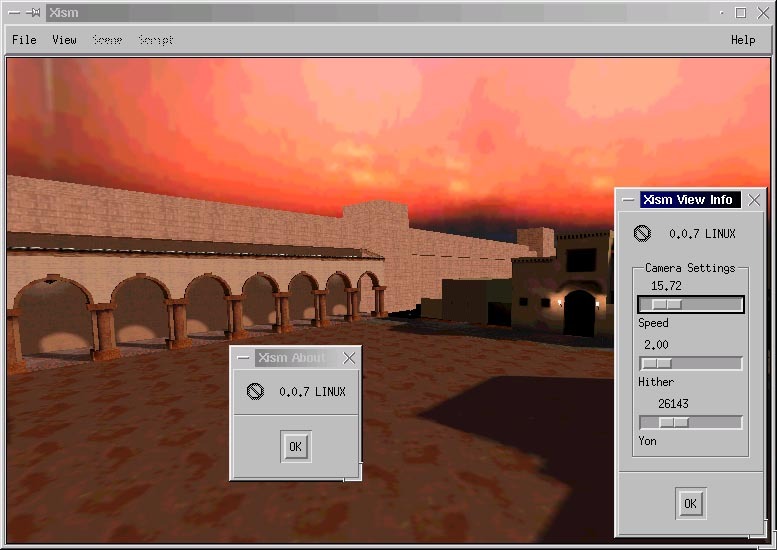 Ported proprietary 3D scene manager to Linux. 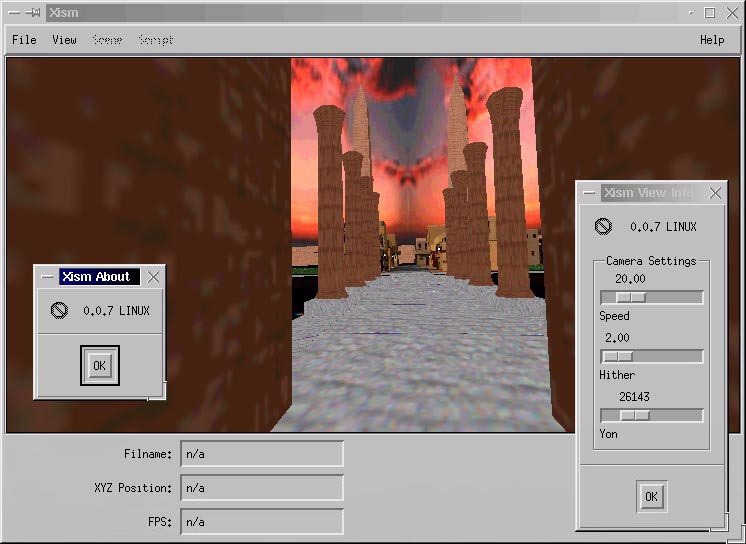 Wrote the first 3D graphics Linux demo to run on the 64 bit Itanium processor. nVIDIA: makers of consumer grade real-time 3D computer graphics silicon for major PC manufacturers. Built up a professional graphics program to round out their game-centric reputation. 3Dlabs: My ticket to Silicon Valley IPO land. Evolved from a Graphics Systems Engineer to Program Manager with a bit of jack of all tradesmanship in between. Old Quad, Santa Clara, California. Also see Win6 Village (Agrihood). Compaq Computer Corp.: Houston, Texas - Spent a year on their Graphics R&D team. Left to go to 3Dlabs. ENSONIQ: Originally based in Malvern, Pennsylvania, now part of conglomerat Creatve Labs' EMU division. Electronic Musical Keyboards with SCSI, real-time audio recording, floppy disk drive, and multitasking operating system. The ASR-10 took a couple of years of blood and sweat from me. Left to go work on the Amiga. IUSB: Indiana University at South Bend. Masters candidate Electronic and Computer Music Theory. Spent a couple years as volunteer disc jockey for both the alternative pop Nocturne midnight and Classical Tafelmusik dinner time shows! Live student radio rules! Allied Signal: South Bend, Indiana. Spent 4 years working on FADECs (Full Authority Digital Electronic Control) for military and commercial turbine jet engines. Purdue University: West Lafayette, Indiana. Computer/Electrical Engineering Bachelor of Science 1986. Beyond Our Control: amazing televsion production group I was part of in high school. Helped write, act, direct, produce completely original works, and solicit advertisors for this taped production. Most amazing of all was that it was regularly broadcast on South Bend, IN NBC affiliate channel 16. Why don't we catch liars? MOO: text only (like Zork) online world. Telnet client required. Kris's East Bay community college support organization. Obvious: 'hypermedia' chum residing in my home town, South Bend, IN. Doug Plencner: more midwestern 'ot' courtesy Domestic Altercation. Thousands of years ago Buddhists pioneered the twelve step program. The Four Noble Truths + The Eightfold Path, that's twelve baby. For your viewing pleasure, this page has been optimized for Seamonkey!